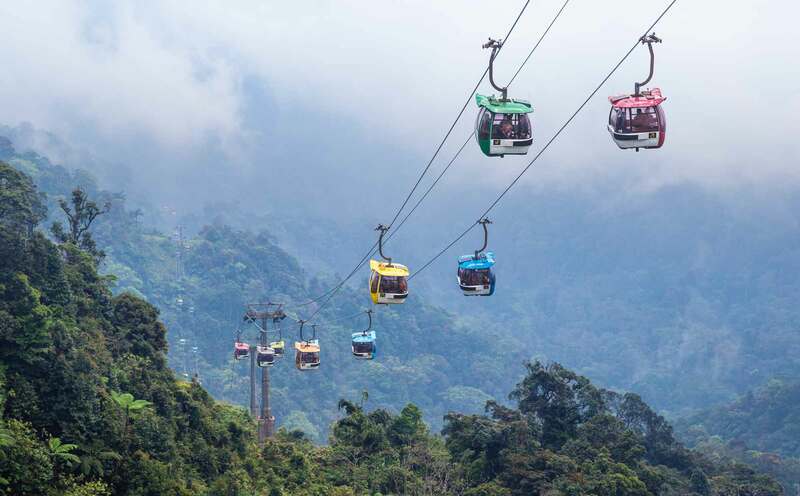 On a clear day, the peak overlooks lush valleys of rainforest stretching towards KL, a breathtaking view for visitors as they enjoy the cooling weather and serene mountain environment. Also located around Genting in the surrouning valley are many tourist attractions including rustic villages, culinary hotspots, homestay retreats, nature destinations and more. Genting Highlands was founded by Lim Goh Tong, who arrived at the shores of Malaysia from Fujian, in 1937. Born in 1918, Lim was a young man, only a lowly carpenter while he picked up the local Malay language. For the next few years, he dabbled in vegetable farming and petty trading, but eventually involved himself in the scrap metal and heavy machinery business. It was through this industry that Lim finally made it rich. The end of World War II signalled rapid development in Malaysia, fueling the demand for Lim's stock of second hand equipment for tin mining and rubber plantations. From there, he ventured into iron mining and then, construction. One day, while having a meal in the Cameron Highlands, it struck upon Lim the idea of a highland resort near Kuala Lumpur. The nearest hill station then, Cameron Highlands, was about 200 km away from KL, which made it less than a convenient journey for a quick highland holiday. He scouted the mountains within the vicinity of Kuala Lumpur, and found a suitable spot on the peak of Gunung Ulu Kali. One of the highest mountains on the Pahang-Selangor border with an ideal and relatively spacious ridgetop, he studied its topography and mapped out developmentp plans, pooling all his resources and energy into creating a highland resort with accessible roads, proper infrastructure, clean water and supply of electricity. 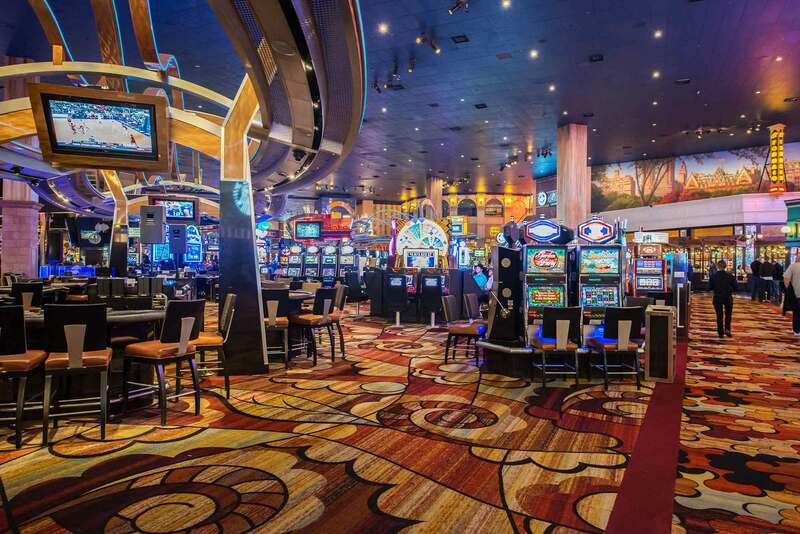 In the middle of 1971, Genting Highlands opened for business - the first Prime Minister of Malaysia Tunku Abdul Rahman granted him the only casino license in the country. Over the next 30 years, Genting Highlands continued to grow from a simple resort with a small casino to a modern holiday destination with theme parks, numerous hotels, large roads and a cable car system. Today, Genting Highlands is one of the most popular highland tourist destinations in Malaysia, attracting visitors from Kuala Lumpur, Singapore and all over the world. It remains still the only legal gambling den in Malaysia. Since 1971, Genting Highlands has remained the only legal gambling outfit in Malaysia - its very own mini Las Vegas on a mountain top. While the casinos are central to Genting Highlands, a theme park provides fun rides and activities for adults and children alike, while SkyAvenue and First World Plaza are colourful shopping complexes with restaurants, entertainment and boutique outlets. On the peak, First World Hotel - the largest hotel in Asia with over 6,000 budget rooms - provides much of the budget faccommodation along with family-oriented Theme Park Hotel. Genting Grand (formerly Genting Hotel) and Maxims (formerly Highlands Hotel) are classy five star establishments while Resort Hotel bridges the gap between budget and luxury accommodation. Genting Highlands has a cooling climate between 20°C to 26°C during the day and 15°C to 20°C during the night. Misty weather is a prevalent element and thunder storms are frequent towards the year end. However, you can visit Genting Highlands anytime, as the roads up are made of sturdy construction that resist most landslides. If you prefer a dry holiday, the best time to come here would lie between March and September when the rainfall is generally least. Be sure to wear some thick clothing at night if you're susceptible to cold. The mist around the peak can obscure panoramic views of Kuala Lumpur city and the landscape below, so the best time for a view is usually the early morning or late evenings.